Scottish First Minister, Nicola Sturgeon, today announced her new Scottish Cabinet and ministerial team. Crofting now falls within the portfolio of the Cabinet Secretary for the Rural Economy and Connectivity. 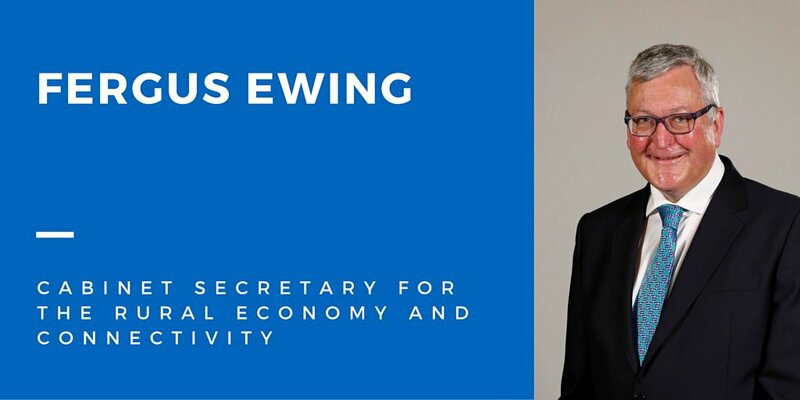 Fergus Ewing has been appointed to that cabinet position. Among the 63 SNP MSPs is a poor soul about to be appointed Minister for Crofting – ‘poisoned chalice’ doesn’t cut it. A Minister for Crofting will need (at least!) a degree in theology and good pair of knee-pads! Fergus Ewing will certainly have his work cut out in dealing with the issues surrounding ‘The Common Clearances‘. To what extent Fergus Ewing may be assisted by Humza Yousaf remains to be seen. Humza Yousaf has been appointed Minister for Transport and the Islands acting as junior minister to the Cabinet Secretary for Rural Economy and Connectivity. The current controversy arises from actions taken by the Crofting Commission against Common Grazings Committees on the Isle of Lewis. To ask the Scottish Government what its position is on the suspended Mangersta grazing committee on the Isle of Lewis and whether it has a role to play in the mediation of this matter. The answer to that question and many others posed in recent weeks is now awaited with much interest and anticipation. This entry was posted in Common Grazings, Crofting Commission and tagged Cabinet Secretary for the Rural Economy and Connectivity, Common Clearances, crofting, Crofting Minister, Fergus Ewing, Fergus Ewing MSP, First Minister, Humza Yousaf, Humza Yousaf MSP, Isle of Lewis, Jim Hunter, John Finnie, John Finnie MSP, John MacPherson, Mangersta Common Grazings, Mangersta Common Grazings Committee, Minister for Transport and the Islands, Nicola Sturgeon, Parliamentary Question, Rural Economy and Connectivity, Scottish Cabinet, Scottish First Minister, Scottish Government, Transport and the Islands on May 18, 2016 by Brian Inkster.